The students of the 2016 Polar Academy from Tynecastle High School have been invited to speak at ‘Tales of Polar Exploration’ – a free event run by Dynamic Earth on Monday 10th October at 6pm. Students, staff or parents who are interested to hear how the team got on tackling Arctic conditions can reserve tickets online using this link and more information can be found on the poster below. We’re delighted to publish the first edition of our new-look newsletter, Tynecastle News! We hope you will enjoy this new, snapshot edition highlighting some of the great things going on at Tynecastle along with key information for parents and carers. Each month will have a different faculty focus along with other school activities we want to share with you. News items will also be posted on our website as and when they happen, so if you don’t yet subscribe and get the latest news sent straight to your inbox, please sign up in the ‘Stay Updated‘ box at the bottom of this page. Our open evening this year is on Thursday the 22nd of September, from 6pm-8pm in the school. 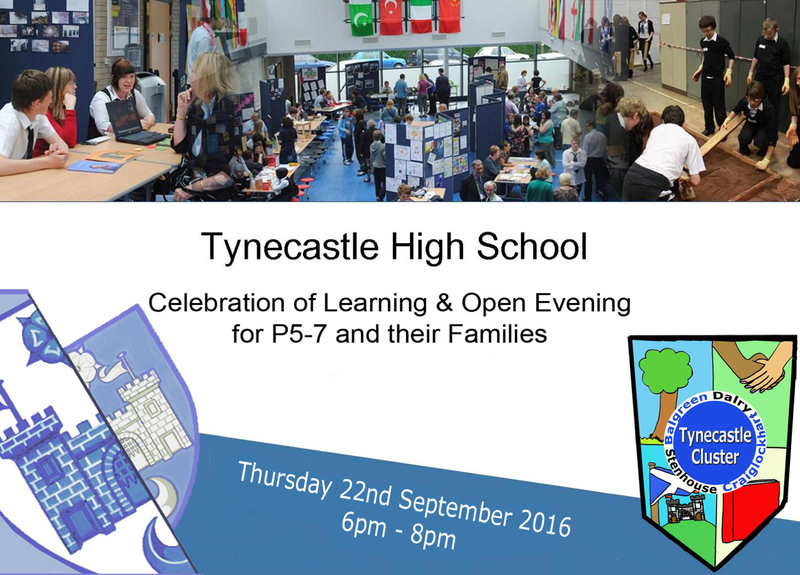 It is open to all, especially pupils and their families in P5, 6 and 7 who would like to find out more about the school. Come and have a look around our wonderful facilities, meet our fantastic teachers, support staff and students and take part in a digital classroom! We look forward to seeing you there.